Industrial computing module manufacturer, congatec, has released its latest evaluation kit for NXP i.MX 8 processor. 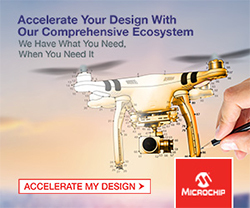 The SMARC 2.0 Quick Starter Kit for NXP i.MX 8 designs offers everything developers need for the immediate evaluation of the new NXP i.MX 8 processor generation. In particular, vision-based AI application developers can benefit from the natively supported integrated Mobile Industry Processor Interface (MIPI) and optional pre-configured software support for artificial intelligence (AI). The SMARC 2.0 Quick Starter Kit for NXP i.MX 8 can be used by developers of integrated industry IoT (IIoT), industrial and embedded vision applications because they can immediately integrate a credit card sized off-the-shelf module into their applications with minimum space requirements, says congatec. 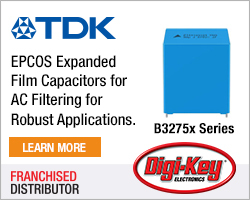 The starter kit complements the comprehensive i.MX 8 ecosystem of products and services. “It enables the rapid evaluation of the i.MX 8 processor architecture, which will open up many new application fields for us in the real-time industrial area as well as in vision-based AI sectors,” explains Martin Danzer, director product management at congatec. “Thanks to the comprehensive design-in services of our Technical Solution Center that come with the starter kit, it really couldn’t be any easier to start developing SMARC 2.0 based i.MX 8 applications,” he adds. 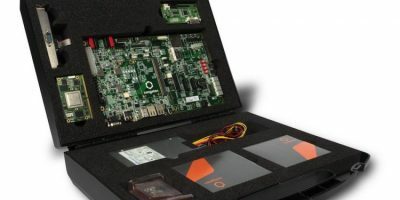 Services offered by the Technical Solution Center for the new SMARC 2.0 and Qseven modules with NXP i.MX 8X processors include high assurance booting (HAB) implementation, bootloader and operating system (OS) image authentication through private and public key cryptography and customer-specific board support package (BSP) adaptation to long-term software maintenance for Linux and Android. The offering further includes a selection of suitable carrier board components and design reviews as well as high-speed signal compliance tests, thermal simulations, meantime between failure (MTBF) calculations, and debugging services for customer-specific solutions. The congatec SMARC 2.0 Quick Starter Kit integrates conga-SMX8 computer modules with either the low-power NXP i.MX 8X or the high-end NXP i.MX 8 (QuadMax) series, as well as a conga-SEVAL evaluation carrier board, which offers access to all interfaces and functions for SMARC 2.0 based NXP i.MX 8 designs. The evaluation carrier supports a set of interfaces including four PCIe x1, one mini PCIe, two USB 3.0, and four USB 2.0 for generic extensions. Next to two RJ45 for Gigabit Ethernet, four COM, one CAN bus and 12 general purpose input/outpus (GPIOs) are also available. Displays can be connected via dual channel LVDS, eDP, DP and two MIPI-DSI, and additional storage media via an SD/MMC socket and one SATA 6G. 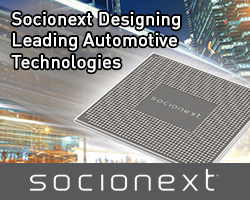 Digital and analogue audio I/Os for I2S and HDA interfaces are also available. The Quick Starter Kit also includes an ATX power supply, the conga-ACA2 MIPI CSI-2 dual camera module, WLAN antenna, LVDS adapter, SATA, USB cable and a cooling solution for the module. For software, there is a qualified bootloader package and board support packages for Linux, Yocto and Android available through the congatec Git server.